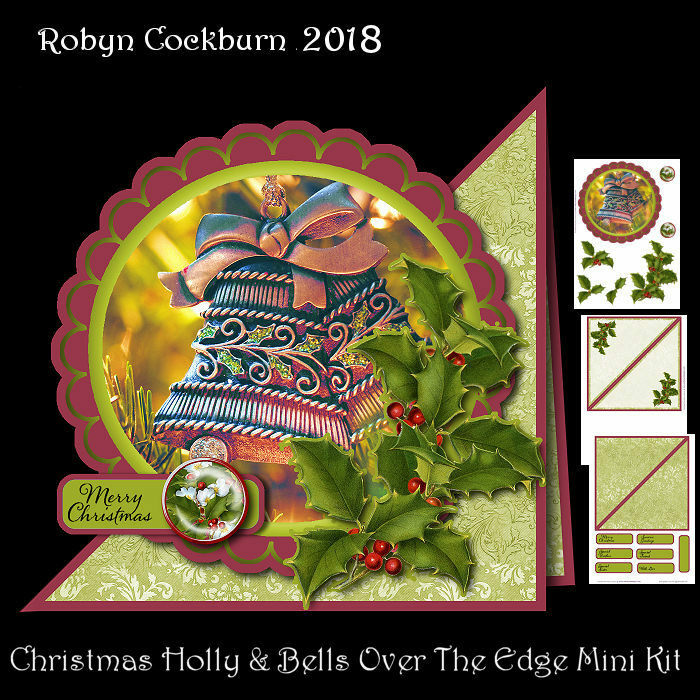 An easy to make over the edge card with loads of appeal for Christmas. It has a pretty scalloped circle that sits over the edge of the folded card with layers of decoupage and a greeting label on the front. Kit contains 3 sheets plus an instruction sheet. Card is 7 inches square.